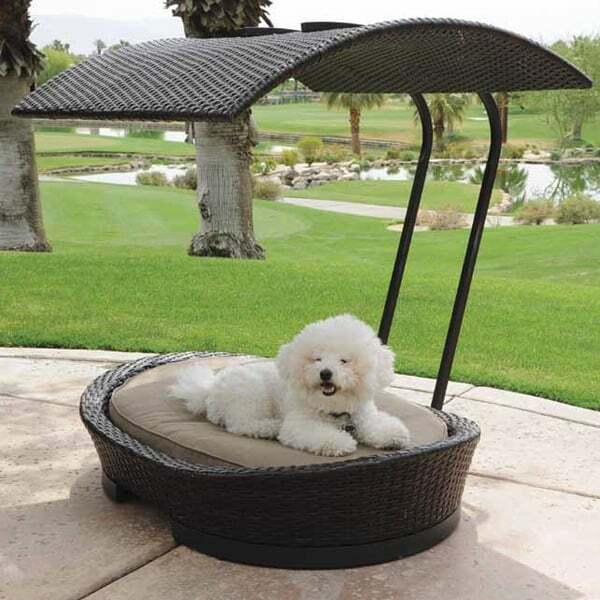 Provide your furry friend a comfortable place to relax while you bake in the sun! The Coastal Pet Bed offers a deep pillow perfect for small to medium-sized pets, surrounded by beautiful all-weather wicker. Made from a resign composite, this wicker can withstand the elements and still look brand new, so you can forget this Pet Bed outside during bad weather without fear. A truly special Patio Accessory for the porch, veranda or three-season room!